A stylish cordless phone, the BT Home Smartphone S 2 features a sleek design and many of the features that you would expect with a normal smartphone. It provides DECT cordless functionality, Wi­Fi capability and a large colour LCD display as well as a range of apps for playing videos, music and more. This cordless phone can also send and receive SMS or function as a wireless baby monitor. If you find yourself being inundated with nuisance phone calls from advertisers and other people you don't want to hear from, the BT Home Smartphone S 2 provides a reliable way to block or silence them, depending on the settings you use. In order to use the call blocking functionality, you'll need to activate the Caller ID service with your landline provider. 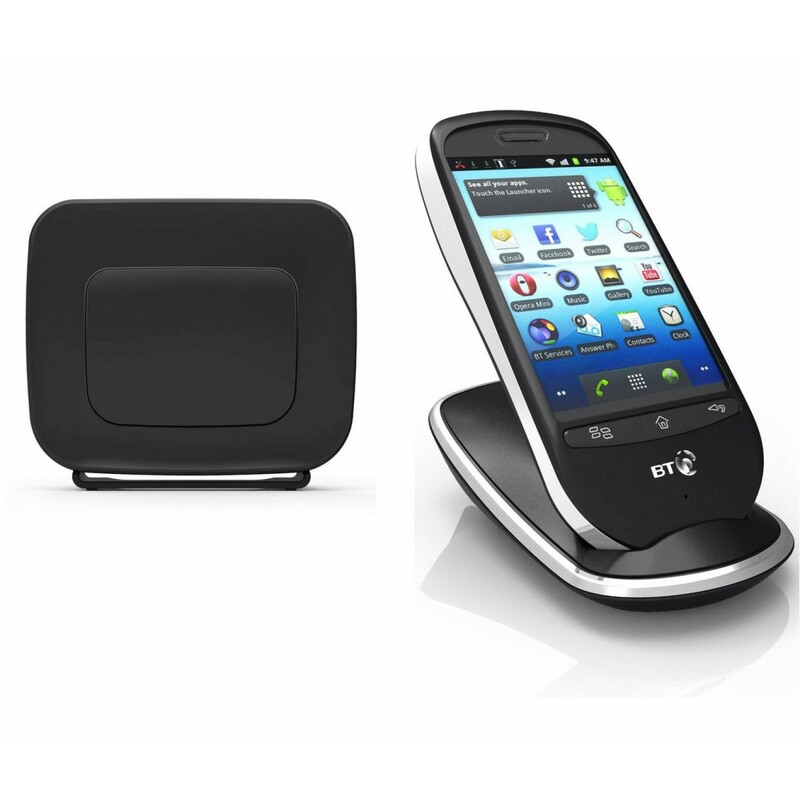 Using the popular Google Android 4.2 operating system, the BT Home Smartphone S 2 offers similar functionality to that of a typical modern smartphone. Providing full wireless Internet compatibility, you can use the phone for browsing the Internet or downloading and using your favourite apps. It also features a built­in camera and 2GB of on­board storage which may also be expanded by way of a microSD card. 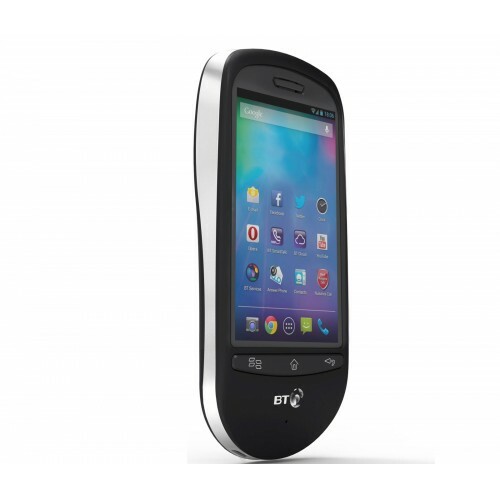 The handset of the BT Home Smartphone S 2 features a capacitive 3.5" touchscreen display making it especially easy to use for anyone who is familiar with typical smartphones. It also features a quick and easy setup, excellent audio clarity, hands­free functionality and a built­in answerphone providing up to 24 minutes of recording time. 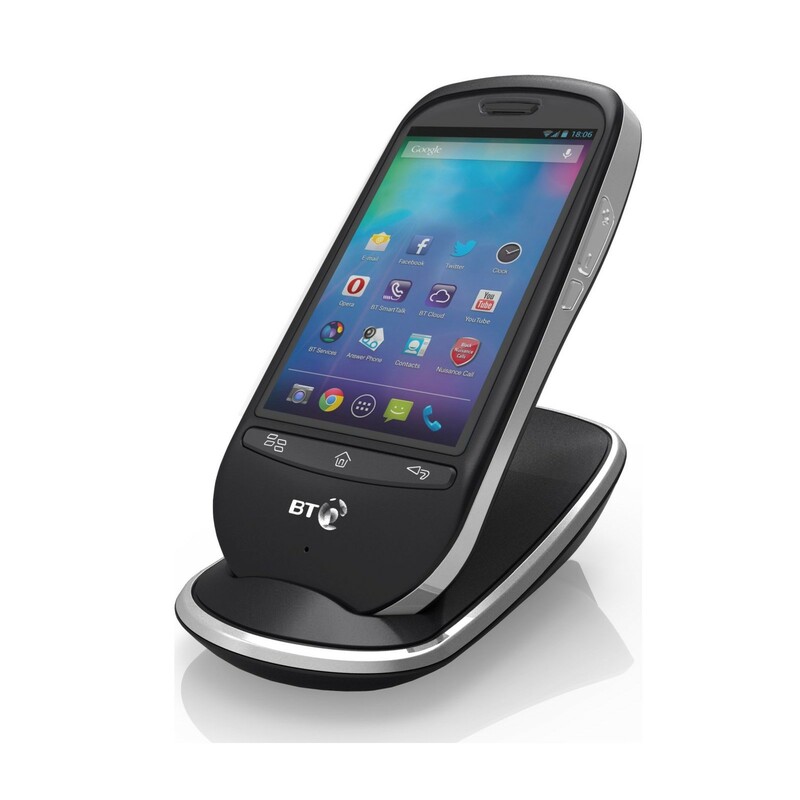 The BT Home Smartphone S 2 combines the features of a smartphone with those of a high­end DECT cordless phone, making it the ultimate landline phone for any home.